No matter if you’re preparing to sell your home or are finally ready to make some upgrades to your home, it makes the most sense to spend money on home renovation projects that have a good return on investment. By taking on projects that increase the value of your home, a worthwhile home upgrade all but pays for itself once the project is complete. Keep reading to learn 5 ways in which you can increase the value of your home. When most people think of increasing the value of their home, they think of interior projects that they can complete. But, the biggest step in increasing the value of any home starts with its exterior. 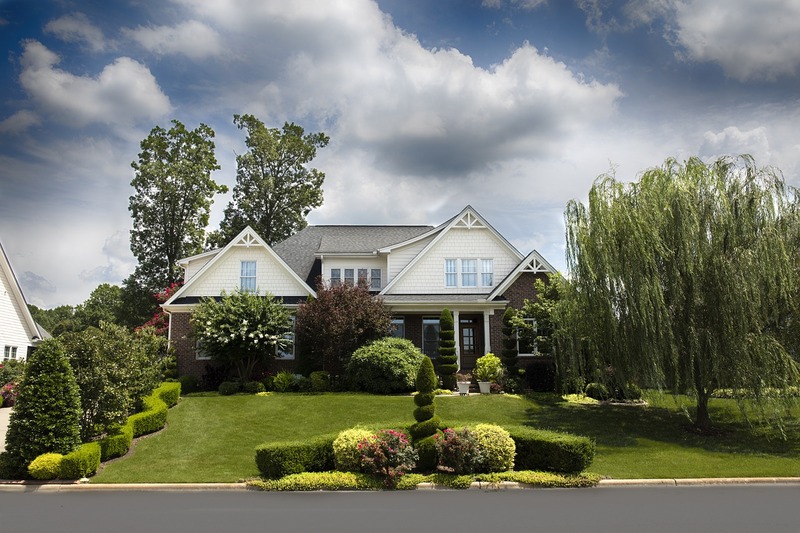 What your home looks like on the outside sets a first impression and also has a huge impact on curbside appeal. A home that looks well taken care of on the outside is likely to show pride of ownership on the inside as well. In upgrading the exterior of your home, there are many changes you can make. Start with the landscaping. Manicure your lawn by cutting the grass, edging the gardens, planting new flowers for a pop of color, and maybe even adding a fresh layer of mulch for a finished look. ● Adding a fresh coat of paint to shutters, porch, hand-railing, etc. By making upgrades to the outside of your home, you create a more welcoming and tailored look. This is a must if you’re selling in the near future or if you just want your home to stand out amongst the crowd. Old windows and doors are problematic for many reasons. First, windows and doors that have reached their end of lifespan tend to look old. No one likes to see cloudy and discolored glass when looking out of a window or door. Another reason to replace old windows and doors is to make your home more energy efficient. Older windows and doors tend to be drafty, which means outside air is constantly being let into your home. This makes it harder for your HVAC unit to maintain the internal temperature which means higher energy usage. When you replace old windows and doors, you don’t have to worry about drafts, leaks, or unsightly glass. Knowing where to buy replacement windows and doors will help to ensure that you’re buying quality windows that will last for a decade or longer! A total bathroom remodel can cost tens of thousands of dollars. The good news is that you can upgrade the look and feel of a bathroom in your home and get a good return at resale time with a minor bathroom remodeling project. There are many small changes you can make in a bathroom include adding new lines of caulk, repainting the walls, installing new light fixtures, or laying new flooring. All of these smaller projects together can have a huge impact in bringing your bathroom into the latest century. Other upgrades worth considering include installing a new vanity or refinishing the bathtub to restore its glossy white appearance. Similar to a full bathroom remodel, a complete kitchen update can also be quite expensive. But, by making small changes in the space you can make it look more modern. Start with the cabinets, especially if your home is old and you’re still using the original ones. If you don’t have thousands to spend on brand new cabinets, refinish and reface them for much cheaper. Finish off with new hardware and voila, you’ve got a great new look. The kitchen is the heart of any home, so take the needed time and effort to make yours look amazing. Does your home have a viable attic? If so, instead of using the space for storing Christmas decorations and random knickknacks, turn it into another bedroom. This not only adds space for a growing family or for guests to sleep, the extra bedroom will be quite worthwhile if it ever comes time to sell. The more usable space a home offers, the more valuable it is. With these 5 home renovation projects, you can greatly increase the value of your home. No matter if you’re looking to sell in the near future or just want to upgrade your home while getting a good return on investment, these are projects worth tackling. Great post! New flooring is a great way to increase your value. I’ve done some hardwood floor refinishing and resurfacing that makes it look and feel like new without the hefty price tag too. I’ve used Fabulous Floors in the past and they’ve been great, if anybody is looking to have it done.